Time has come! You are planning your holidays and you have already chose Barcelona as your summer destination. Now, you need to find a perfect apartment with terrace to enjoy the great weather. 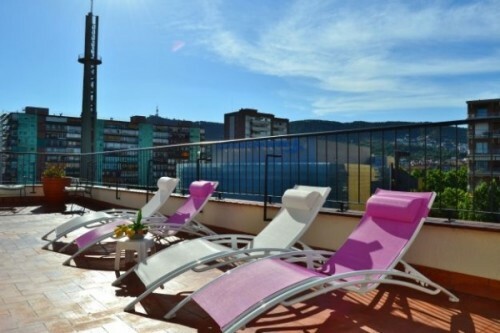 I will give you some tips and facts you should consider before renting an apartment with terrace in Barcelona:First of all, you must know exactly why you prefer an apartment with terrace. Are you planning to lay back naked under the sun of Barcelona? Well, then make sure you don’t rent an apartment located in “planta principal” (main floor) or “entresuelo” (mezzanine), unless you love having spectators from the upper terraces. Not comfortable with this idea? You value your privacy? Then you need a penthouse. 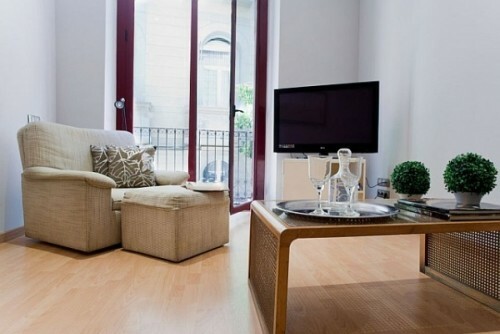 The ático apartments usually have the must sunny, spacious and private terraces in Barcelona. Take a look to our Ferran Batik to have a glance of what a perfect sunset might be. 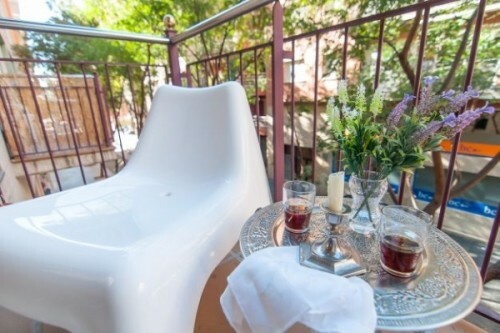 If you are dreaming with a relaxing holiday, you would enjoy an apartment with a terrace overlooking a peaceful street. Make sure the bedrooms are not facing the street, to avoid traffic and other street noise during night. Try our Neo Apartment, a charming flat with sunny terrace where you can just sit back and have a great chat over a bottle of cava. Coming with kids? You better rent an apartment with a big terrace where they can play while you charge batteries. Our Garden House is the perfect apartment for families. Your kids will have their own playground in Barcelona. If you are a social traveler who loves being surrounded by people, then you don’t really need an apartment with terrace as you will pay for a space you will not really use – believe me! 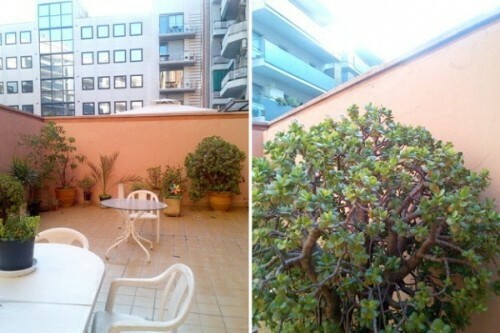 Generally speaking, apartments with a private terrace costs a lot more. So, you’ll probably save money by opting to rent an apartment, not at the beach, but near the beach. 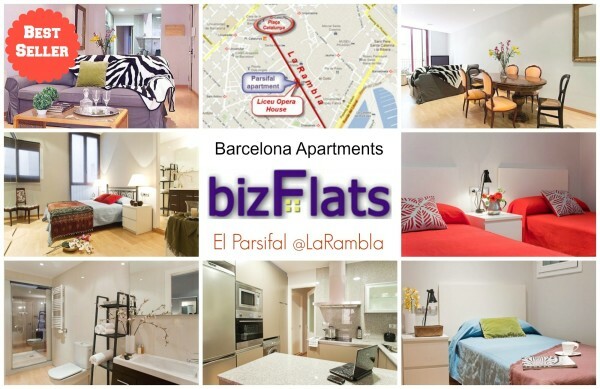 Parsifal apartment is literally steps from La Rambla, next to the Liceu Metro stop and 20 minutes walking to Barceloneta Beach. You are done. Now is time to make easier choices…bikinis, hats and sun block! The weekend has arrived and you are wondering how to take advantage of these first days of good weather and sun? 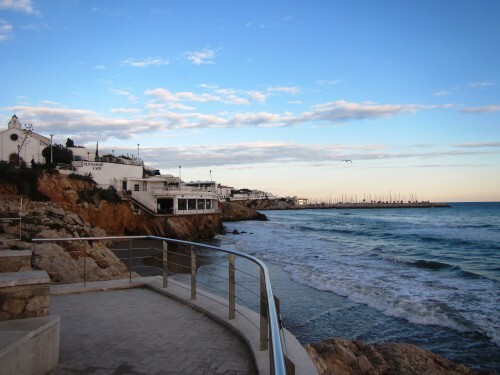 Well, if you are looking for great beaches, sun, relax and drinks…SITGES is your destination this weekend. The beach! 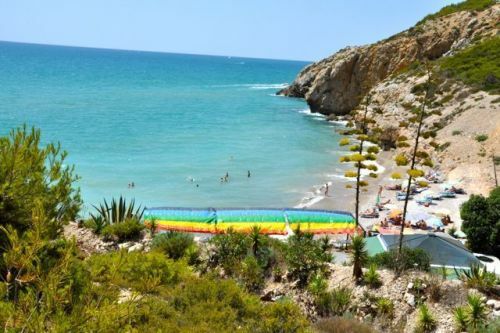 There are 17 nice beaches following the coast of Sitges. Some of them have even been awarded for their water and sand quality. However, all and each one has its own charm depending on what you are up to. 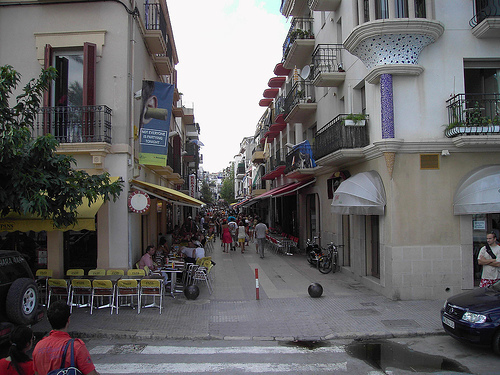 Sitges is also a popular gay destination with some specifically gay nudist beaches. You will find detailed information and maps of all beaches here. Been in Sitges you cannot miss Casa Bacardi, Rum Museum to commemorate Facundo’s Bacardi was born in Sitges.They offer guided tours to discover the passionate history and all the production process of this worldwide known rum. You may also try their famous “Cuba Libre” or Daiquirí. Calle del Pecado (Sin Street): Finally you have the perfect tan! Now is time to enjoy Sitges nightlife. There is a street in the center which everyone calls the “Calle del Pecado” although its real name is Calle Dos de Mayo. This street offers top restaurants and bars where you can find all types of customer, from the most calm to the more “sinful”, dining or enjoying a drink before going partying. Where to Stay in Sitges: If you want to enjoy a great weekend with your own private pool, consider renting our astonishing Villa Downstairs. 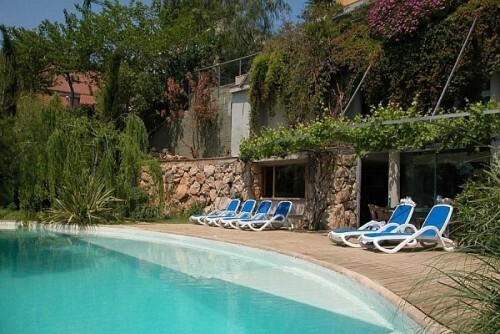 The Villa is located in a smart residential zone, lovely and quiet. The main entrance is in the garden and holds the luxury of a 16 meters length swimming-pool, with spa and night lights and the unbeatable views. You cannot miss the experience…RESERVE TODAY! Barcelona es una de las ciudades más fashionistas de Europa – y del mundo, me atrevería a decir – por lo que cualquier cita de moda que se lleve acabo aquí es un “must”. Tanto si eres un diseñador emergente, como si estás a punto de casarte, Barcelona Bridal Week es el sitio donde debes estar esta semana. 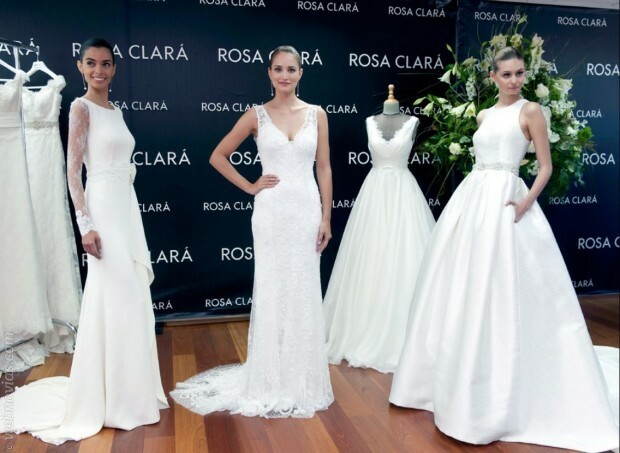 Rosa Clará, la diseñadora catalana que ha dado tanta proyección internacional a la Marca España, abrió ayer la Pasarela Gaudí con diseños inspirados en Grace Kelly, Audrey Hepburn y Annie Hall, entre otras grandes musas. En primera fila se encontraba reconocidas celebrities y algunas parejas de los futbolistas del Barça, Antonella Roccuzzo –pareja de Messi-, Daniella Semaan –pareja de Cesc Fábregas-, Yolanda Cardona –mujer de Víctor Valdés-, Nuria Cunillera –mujer de Xavi Hernández-, y Gabriela Lenzi – “buena amiga” de Neymar. Otros diseñadores que estarán presentes serán Victorio & Lucchino y Pronovias, este último se encargará de cerrar el evento con broche de oro. 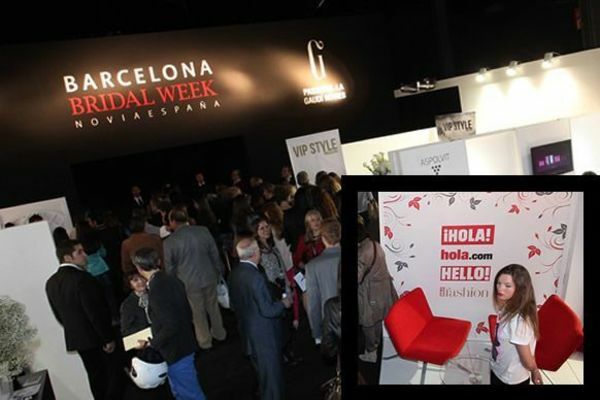 Pero el Barcelona Bridal Week no termina aquí, ya que del 9 al 11 de mayo se desarrolla el Salón Internacional Novia España que aglutina a los mejores profesionales del sector, representando cerca de 200 marcas, el 50% de ellas internacionales. Si este año te lo perdiste, toma nota y contacta con bizFlats para el Barcelona Bridal Week 2015.